Any blogger for sure, has a strong desire for their voices and point of views to be heard. That's why we write, that's why we blog, that's why we share information on the digital platform. 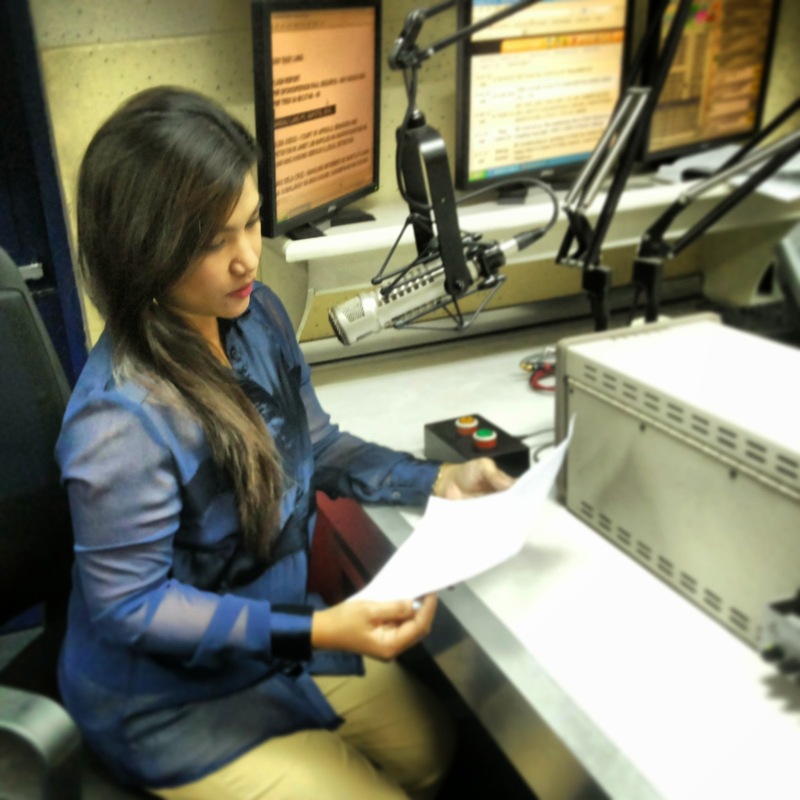 I just had my voice literally heard all over the Philippines during an interview I had with Ms. Lala Roque (unfortunately for me, Ms. Susan Enriquez was out of the country that time, I would have loved to meet her) on GMA7's AM Radio Station DZBB 594 kHz. The executive producer (EP) of their show somehow found their way to my blog's post about 2014 Summer Activities for Kids which they already featured and talked about a week before I came for an interview with Ms. Lala Roque. They invited me to talk about how important it is to engage kids in activities during off school season, but I couldn't make it the first time. So, the EP still scheduled me the following week (March 31, 2014) to talk about the importance of a ME-TIME for moms. I couldn't believe my eyes when I was reading an email GMA 7 sent to me, inviting me for an interview. Of course, I readily said yes because it's been a childhood dream for me to be in a studio, interviewed by a well-known media person. GAAAAH!! Reviewing an article about the topic which we talked about during the show. 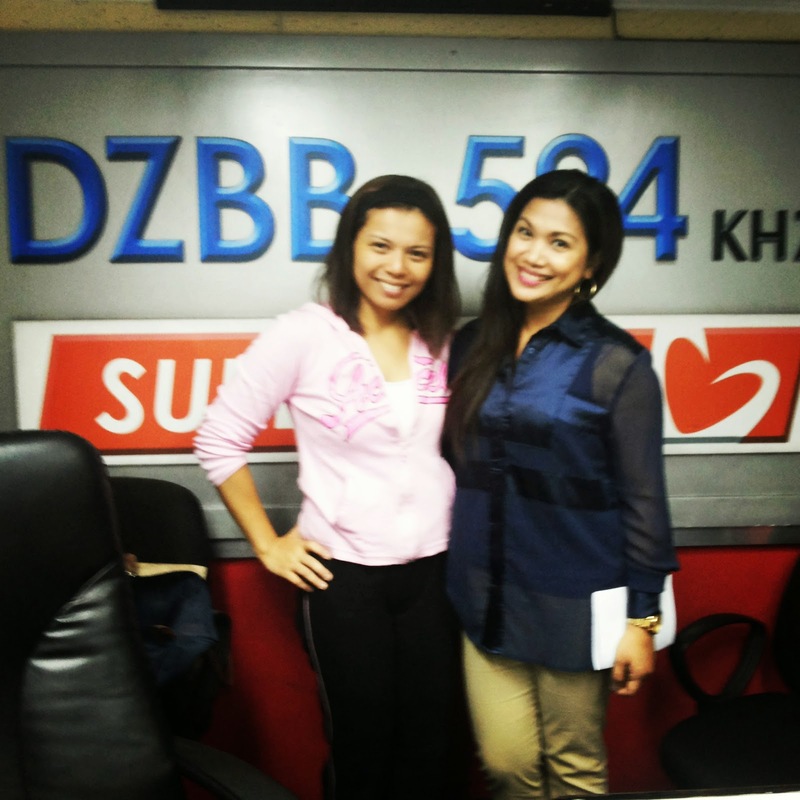 The interview, which I would like to call a chit-chat, with Ms. Lala Roque went for an hour. 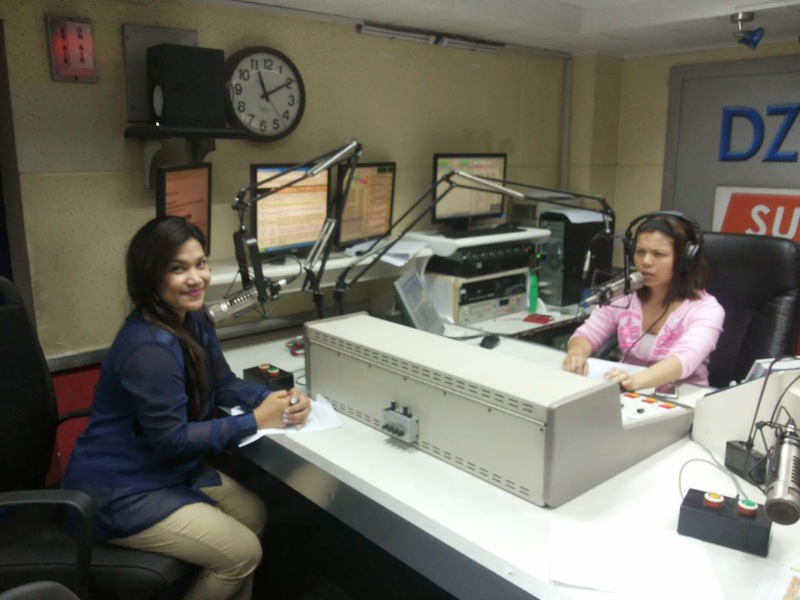 I was comfortable during the interview, because Ms. Lala and I had a small talk before going on-air. She did a good job in keeping the focus on our topic of the day. I was just my natural self. I talked as if I was just verbalizing my blog posts. We both felt the time wasn't enough because we wanted to talk about other things, like finding time with husbands and other parenting tips. Questions from mommies listening were thrown at me to be answered. Being there was surreal and definitely was a pleasurable and unforgettable experience. 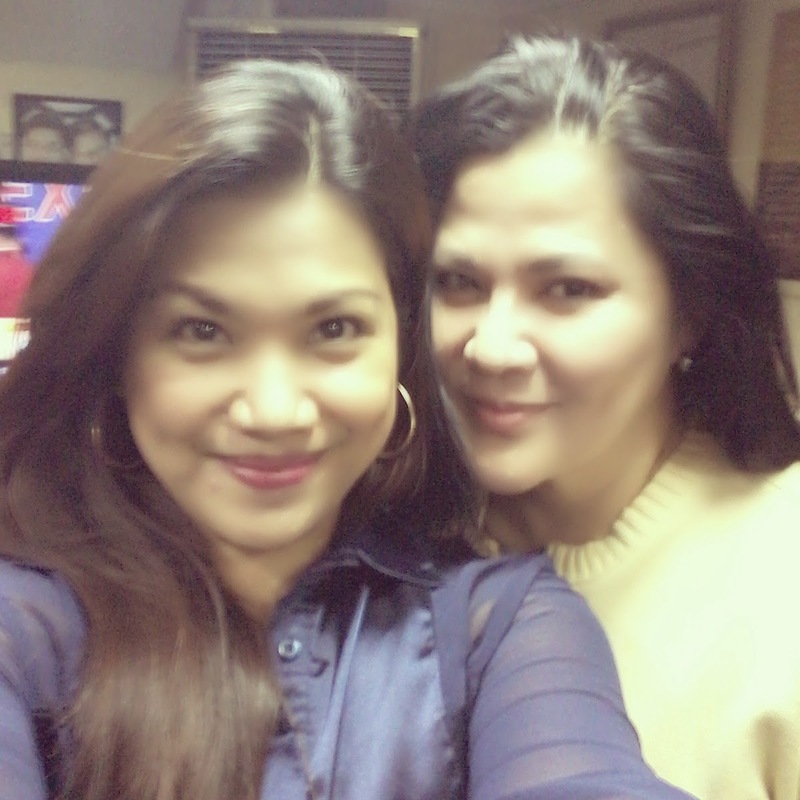 I am deeply grateful that GMA 7- DZBB trusted Mommy Practicality the airtime for my voice and message to women/moms be heard. I was on super fan mode when Sir Arnold Clavio agreed to have his picture taken with me! 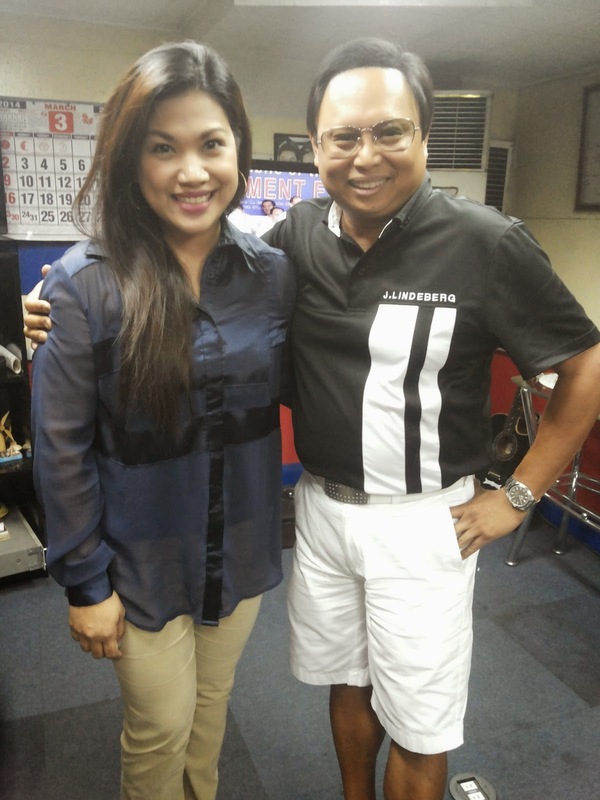 I was starstruck when I saw Mr. Arnold Clavio in the booth before I went on air for the interview. 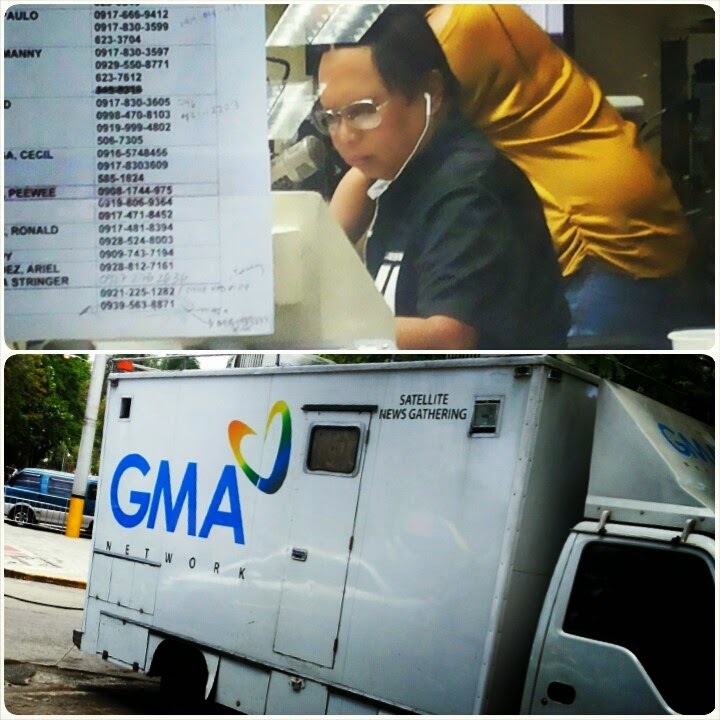 Being noticed by an ATL media as BIG as this (That's freakin; GMA 7!!!! ), is a HUGE accomplishment for me. I am overwhelmed at how wide my blog is now able to reach that this interview opportunity came. This is definitely an affirmation for me as a blogger, and I hope if you're a blogger you realize this too, that we have a big responsibility to our readers because what we write on our small digital space could help or destroy, could make or break and could inspire or discourage them. Yes, we write for ourselves, to uplift our souls, to make us feel good, to let our thoughts and feelings out. But more importantly, once we hit the PUBLISH button, we are letting others have a peak into a small window of our lives and that what we write initially for ourselves, becomes for them, our dear readers. So may we all blog blissfully, lovingly and responsibly.